Does anyone know the dates for this event in Goppingen? Flights and accommodation are all booked! Where did you find that information? Shall we repeat @kiwiAlans trick from 2017? see post # 101 and followings. Looks like there's a few Kiwi's coming across for this event, I was uncertain until this weekend but my lovely wife has now confirmed. Would be nice for a chance to meet fellow M-U members who may also be there? We are coming via the UK and spending some time there before crossing over via the Chunnel. Hopefully Brexit will not implode in the meantime! My wife and I from Canada. Flights and lodging booked 2 months ago. Now online at Märklin's website. My friend and I will be there. We're leaving our wives at home. from Märklin. Only available via their German website. Of course, only in German. But about IMA days nothing mentioned. Seems to be its own webpage is enough for Märklin. Does anyone who speaks German know where can I find websites for nostalgic train rides while I am in Germany? I often see people post videos on nostalgic train rides, but I have no idea how to find nostalgic train ride schedule. Any help is appreciated. Do you understand a little bit German? Most of the websites are not in English available. Also these nostalgic train rides are not every weekend and you have to book a long time in advance. Finally it has to be around the IMA days 13th to 15th of September. I made a quick search and found one steamer trip from Karlsruhe to Baiersbronn, where is a local station party. See the website first and then tell me, if it might be suitable for you and you need further support. This trip is on Sunday 15th, 2019. It means, you have to leave Goeppingen the night before to Karlsruhe, stay there overnight and then take the nostalgic train on Sunday morning 9:00 o'clock. Roundtrip shall be 26 € plus 5€ for reservation. If you do a donation say by about 100 € you may drive on the steamer loco but you have to shovel coal. Ask for it by reservation. The advantage is the very scenic routing (see 2nd link) through the Murgtal right into the black forrest to Baiersbronn with a further transfer possibility to Freudenstadt. I think even the Murgtal is well known here at this community. I just remembered the Bayerisches Eisnebahnmusem and they have a website in English as well. I remember in 2017 they had their own historic train from Nördlingen to Göppingen for the IMA days and vv. Perhaps they attend in 2019 again. I do not know it. Perhaps you find anything about it while studing their website or a follow up at Märklins IMA website. You can search for "Nostalgie" or "Nostalgiefahren", "Dampfzug" or "Dampflok". If you have specific dates in mind, let me know and I can do some research for you. All being well I should be there. Me too. We should all gather on Platform 4 @ 4 on the Saturday again and take photos. Last time it was like herding cats! 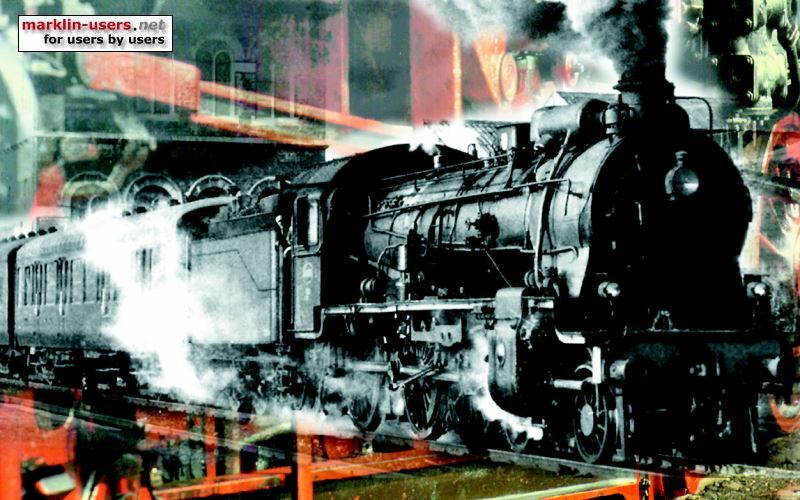 Nostalgic train rides? 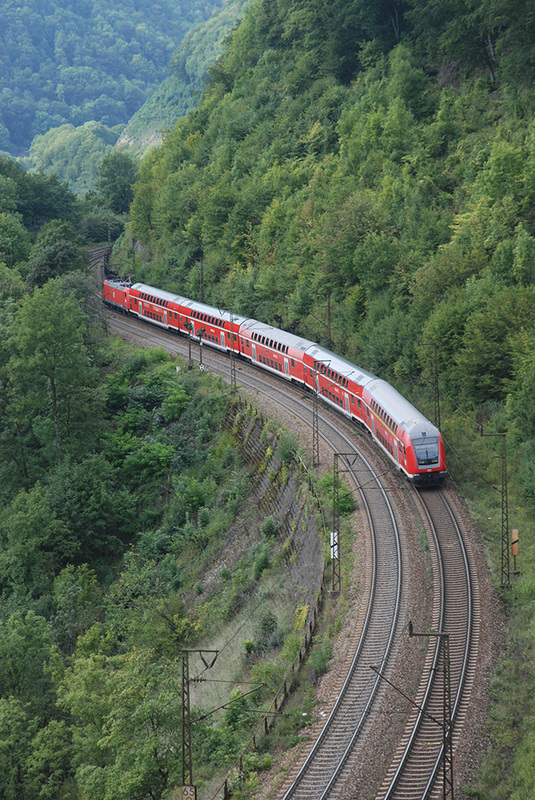 In the Goppingen / Stuttgart area there are many: Schwabische Alb Bahn is my personal favourite, start at Munsingen. Schwabische Waldbahn is not far from Goppingen, UEF as previously mentioned is at Ulm, the Hollentalbahn is a little further away in the Black Forest. Stuttgart has a tramway museum worth a visit. The Talesbahn runs from Nurtingen to Neuffen. zrt.ch are doing a 3 day event to Marklin tage from Switzerland. SVG Museum at Horb is certainly worth a look if you are in the area, with a flea market the Saturday before the Marklin days. 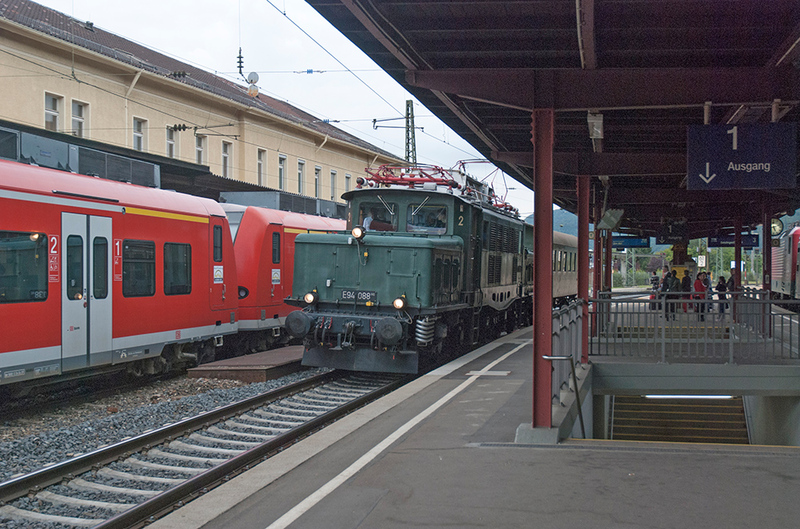 SVG usually run a special train from Stuttgart to Goppingen for the Marklin Tage. Pay on the train. Steam trips operate from Goppingen Station throughout the Marklin days, for example up the Geislingen Steige and back. The dates for the IMA are also listed on page 6 of the German version of the Marklin Magazine 02/2019. For those inclined to hike (in easy, though hilly terrain), there is an enjoyable walk from Geislingen an der Steige to Amstetten, with a marvellous view on the Steige from an outcropping about halfway. 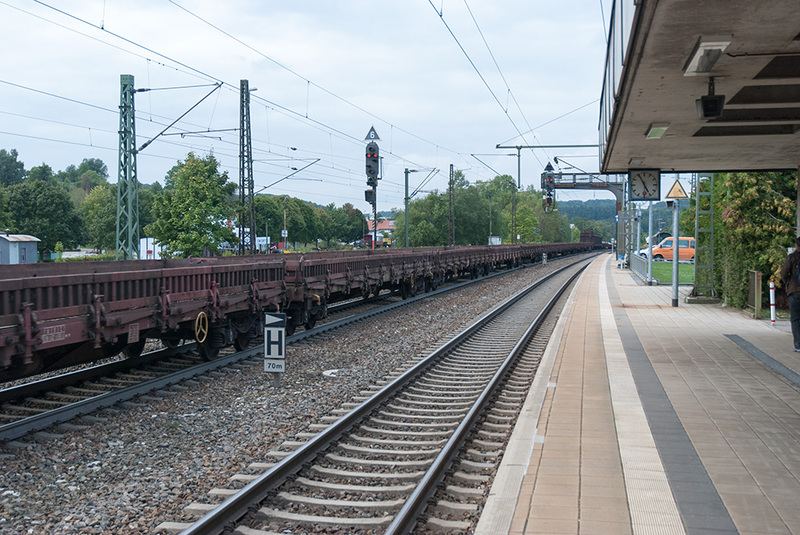 In 2013 we went to Geislingen by train, walked to Amstetten, and took a train back. 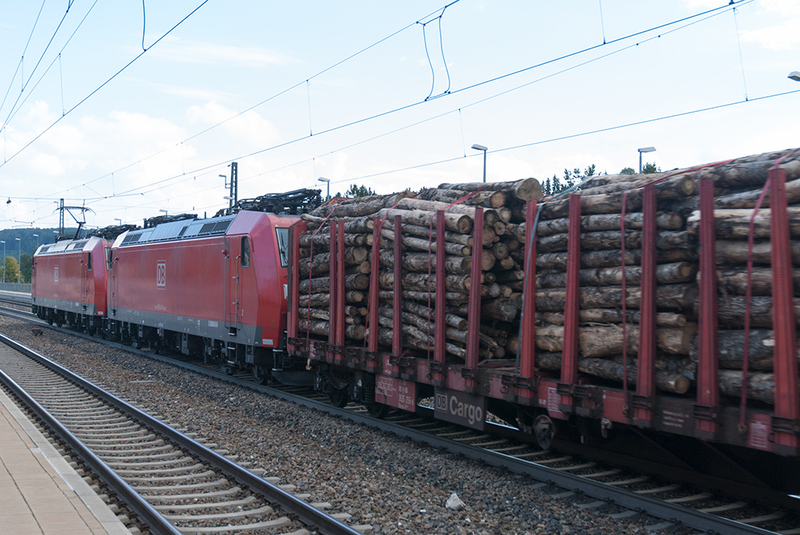 In addition to the view from the outcropping, on the platform in Amstetten we saw a helper engine decouple and return to Geislingen. 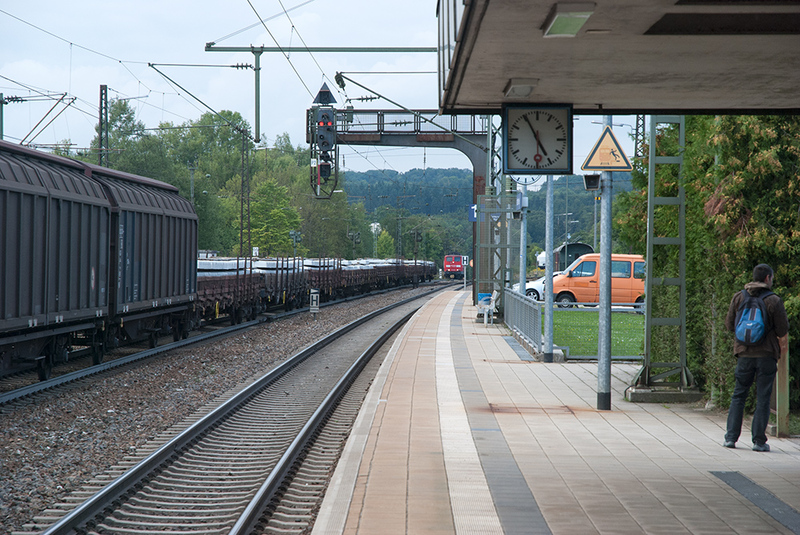 A last bonus was an E94 with a Silberling passing through the station in Geislingen while we waited for our connecting train.